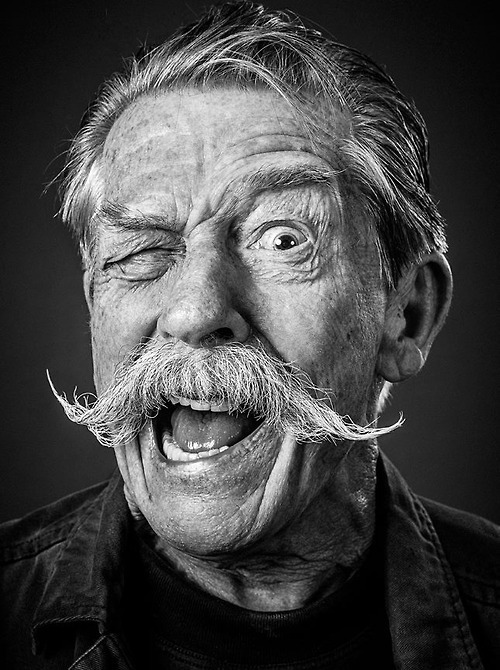 Why does John Neville in this movie looks so much like John Hurt? That can’t just be me, right? Compare them yourselves! This is Neville, and this is Hurt. The resemblance is uncanny! The Adventures of Baron Munchausen, directed by Terry Gilliam, tells the tall tales of the titular character, Baron von Munchausen, based of a book from the 1780’s . He’s…no, I shall NOT give any story details about this movie! It’s absurdity plot-wise must be kept secret for full effect! For this movie is crazy in all the right ways! Why did I not watch this as a kid?! 10-year-old me would’ve loved this! As you can quite clearly see, I am in love with this movie in all the ways. Firstly, the cast and characters. John Neville IS the Baron. Everything from his attitude to just his smile just perfectly encompasses who the Baron is. The rest of the cast is great as well-the child actress is actually competent for a change-and they all have their time to shine, but man, John Neville just OWNS it. If you want to have a good fantastical time, and The Wizard of Oz isn’t cutting it for you, then this movie is your best bet. As I’ve said, this movie is pure hilarious nonsense. Logic is defied in so many ways you laugh at it, in a good way. If not done well, this could be disastrous, but luckily it’s Terry Gilliam. He has done well. 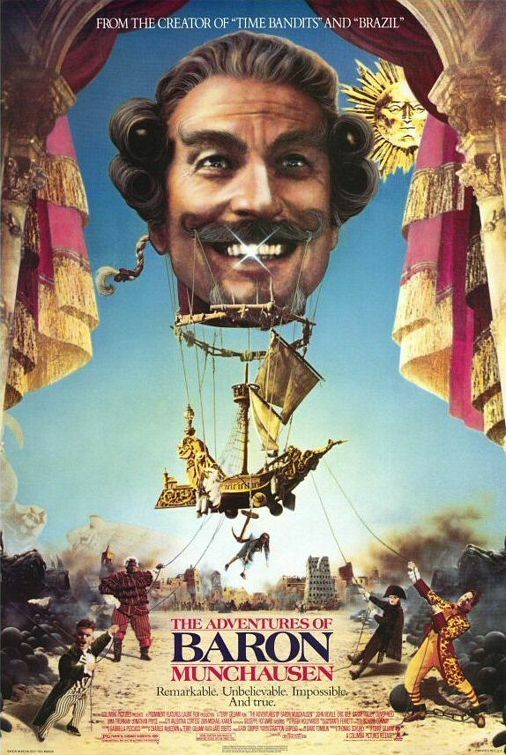 Overall, The Adventures of Baron Munchausen is a hell of a good time. Watch it when you can. Writer’s note: Sorry for the shorter review, I’m going on a trip tomorrow, and tried to squeeze this out before I go. I don’t like to leave my writing hanging. This entry was posted in Film, Movie, Review and tagged 1988, Eric Idle, John Neville, Review, Terry Gilliam.